Tesla’s donation of a 569 kW solar system also included approximately 15,000 hours of job training to support GRID Alternatives network of area worker volunteers. “Volunteering on a solar installation with GRID Alternatives is a great way to give back to your community while getting hands-on with solar technology.” reads the description for GRID’s Solar Installation Training Programs. Tesla will also further its role by partnering with GRID to match job openings with qualified trained professionals. Solar Energy in its simplest explanation is energy derived from the sun. The sun’s radiation is captured by the solar panels, sent to an inverter and converted to electricity. Since the sun is always going to be there as life exists, we have the ability to capture that energy and use it. renewable energy source – the sun burns every single day, all day, and lights up our days in every part of the world. This means that electricity from solar energy exists everywhere. As a rule of thumb, locations closer to the equator has the greatest potential solar energy capability. It is interesting to note that the sun burning for 1 hour has the ability to power the world for around 1 year. Unfortunately, we can only harness around .001 percent of this energy which will increase with technology. technology – just like computers, solar panels and accessories are constantly advancing. Cost of solar panels are going down, ability to capture more energy is going up. lower your electric bill – the goal is to install solar panels to eliminate your electric bill. This is not feasible with all solar installs but it will certainly lower your bill. The ideal situation is to size a system to over produce electricity needs during the day, either store the extra electricity or sell it back to your utility company, then use the extra at night when solar energy is not possible. low environmental impact – going green is the saying and by using solar energy you are lowering, or eliminating, your participation of coal burning emissions. Solar panels and batteries do have toxic chemicals and properties but if handled and produced properly, the environmental impact is minimal. Do your part and dispose of any solar products correctly, don’t throw a dead battery in the trash. biggest reason to install solar panels in 2017 or 2018 – the US federal government is giving a 30% tax rebate for all solar installs. That means if you get a quote from an installer for 15K to install a solar panel system, the system after rebate will only cost you 10.5K. 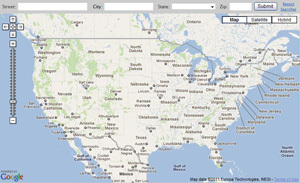 Please see our map, determine the solar hours in your area, and fill out our form for a free install quote. We work with many installers across the United States and they know two (2) other companies will be providing quotes for your install so you end up getting very competitive prices. It is important to discuss the pros and cons of any investment and this article may help clarify potential problems with installing solar panels to power your home or business. Many current issues with solar panel installations can be overcome with a little planning and this article may help. size and aesthetics – to power an average home will require almost your entire south facing roof to be covered in solar panels. Your shingle or tile roof will then be covered. no south facing roof – if you do not have a south facing roof the side of roof you install the panels on will not generate as much power. The sun rises in the east, sets in the west, but to capture most of the sun during “solar” hours requires the panels to be angled, facing mostly south. solar power generation is not always reliable and consistent. Depending on your geographical location will dictate your solar potential. In general, locations closer to the equator are better at generating solar energy. Cloud cover is also a factor and can minimize the solar potential by up to 90%. No solar power is generated when dark. batteries – lead acid batteries are used for storing energy to be used later for electricity use and can be harmful to the environment, especially children and marine life. This impact can be minimized with proper handling and disposal of batteries. Also, it is typically cheaper to sell unused electricity to your utility company and receive a credit during non-solar hours then storing it all using batteries. Batteries are seeing significant technological advances, however, so this option is worth keeping tabs on. roof maintenance – since solar panels are typically installed on the roof of a residential structure, roof maintenance can be problematic. Best advice – repair or replace your roof BEFORE you install solar panels if required. deterioration of panels – the panels you install on your roof are subject to all the elements. Snow, wind, rain, hail and simply the exposure to sun can cause panels to deteriorate over time. When you receive your free quote make sure that you inquire about the warranty. Typically, a 15 year warranty is offered and that easily is enough time to see a significant return on investment. Now that we got most of the negatives out of the way, it’s important to note that the general consensus are the positives far outweigh the negatives when considering solar energy options for your home or business. Be sure to read the advantages of using solar energy. The first total solar eclipse is coming Monday, August 21st,. The last total eclipse happened in 1979. The link below will tell you how much your area is affected, just put in your zip code. Posted on 09 August 2017. Over the past ten years solar energy capacity has grown by at least 68 percent each year. This massive growth has created a reliance on solar energy including states like California and North Carolina. On August 21st the United States will endure a solar eclipse where the moon will completely hide the sun. The event in total will cause disruption to solar energy production for around two, to two and a half hours. Other sources of energy will need to be harnessed on this day to avoid energy shut downs. This is the first total solar eclipse since 1979 and solar energy reliance was not an issue then. Will be interesting to see how the nation handles this potential energy crisis. Residents of southern California will soon have a clean alternative way to get their electricity. This government program will offer costs 5% below current Edison customers. There are no limitations to who can join. Small businesses are eligible as well. Long Beach and Torrance will require approval by officials before residents can join the program. Initial funding is $10 million, $2 million for admin costs and $8 million for purchasing power. Revenue is expected to reach $1.2 billion after 3 years. Currently California has been able to produce two-thirds of the state’s electricity from renewable sources. If hydropower is added to the equation, the renewable production can reach up to 80.7%. It is no wonder why Drones are quickly replacing the need for physical human inspections of solar farms by reducing the time from days/weeks to hours. Vice president of energy infrastructure at Measure, Harjeet Johal, told Renewable Energy World that the use of Drones for solar maintenance solutions provide 5 distinct advantages. Asset Managers on solar farm projects typically work in a back office. Using a drone to relay footage to a server allows Asset Managers the ability to integrate their work day with maintenance procedures. A single snap shot of drone footage can be available direct to managers to assess where faults and abnormalities exist. Drones can cut solar farm inspection from days to hours, months to days, and years to weeks. Drones limit the need for human inspections which eliminate the potential hazards involved in solar farm inspections. Johal said “It takes a long time for manual plant inspections, we’ve seen that sometimes it can take many months, or many years, to complete one full inspection.” With the use of Drones, month to years is reduced to days and weeks. “Since drones can capture data in a single visit, typically we won’t leave any opportunity of missed revenues on the table,” he said.